The most striking event of Hilary Term at Exeter was the men’s second boat’s winning of ‘Blades’ in Torpids, the first such College triumph for a number of years. Rowers and coxes from all boats celebrated at the termly Boat Club dinner, which Marguerite and I attended in early March. 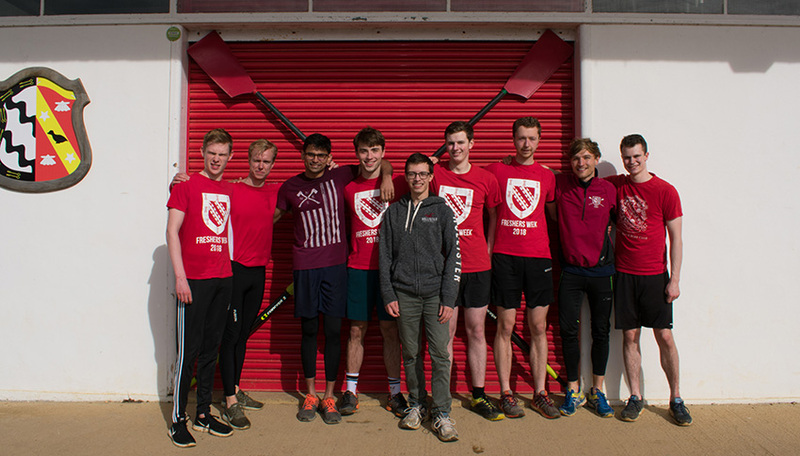 Torpids proved successful overall for Exeter, another major stage of the College’s ‘rowing renaissance’. 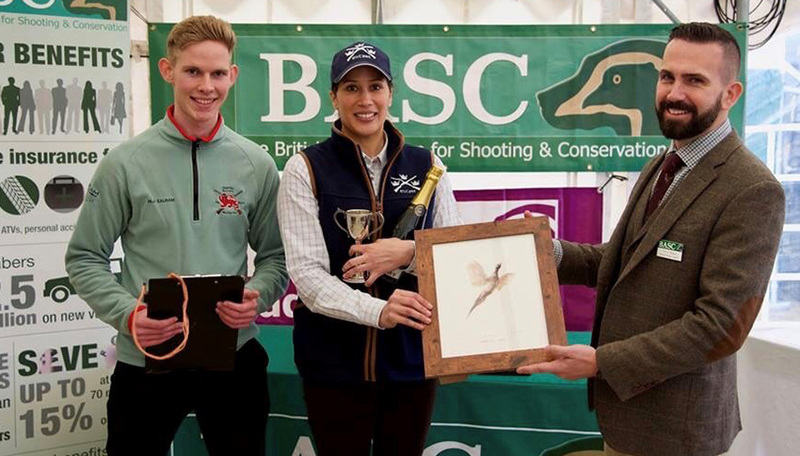 Other athletic milestones included a Half Blue for graduate student Rakiya Farah (2018, BCL) for her best-among-women showing in the clay pigeon shooting Varsity match. Meanwhile, women’s football has been flourishing, only a year after the side was formed. Of course students distinguish themselves at Exeter in many other ways. A fortunate handful of Exeter undergraduates made the annual early January trip to Williams College, this time without the blizzards that last year’s visitors experienced. During Hilary Term itself, graduate and undergraduate students as usual gave very able presentations on their research at ‘subject family dinners’, for Medical & Life Sciences, and for Mathematical & Physical Sciences. Also, student organisers collaborated with the Development and Alumni Relations Office (DAR) to stage alumni/student dinners for Law (held for the first time, with considerable success, on a Thursday evening) and for Biochemistry (the first such dinner for the subject in this series). Undergraduate helpers were key to the success of a special day in February for those holding offers (and their parents) for admission in October 2019. That same day, second year students were hosts in Hall at the annual Parents’ Dinner. Meanwhile, Exeter students were prominent in the 2019 Turl Street Arts Festival and, as in many years past, in planning ‘Ex Vac’ holidays for socially disadvantaged Oxford-area children. Students were key performers and organisers, too, in the College’s celebrations of Burns Night and Chinese New Year. The latter featured many graduate students, and this term’s ‘graduate high table’, with many supervisors from other colleges in attendance, occurred on the evening of Valentine’s Day! In terms of academic endeavour, research student Christy Kin-Cleaves (2016, Computer Science), aided by an Exeter academic grant, shared the award for Best Student Paper at the International Workshop on Information Forensics and Security organised by the Institute of Electrical and Electronics Engineers (IEEE). In March the Exeter part of the annual winter graduation, at which mainly postgraduate degrees are conferred, featured the serving president of the MCR, Tom Hadfield (2017, Statistical Science), a current doctoral candidate who collected his master’s degree. Diversity is very important to our students, as to other members of Exeter. Fittingly, Exeter joined other Oxford colleges in flying the Women’s Suffrage Banner on 14 December (the 100th anniversary of the General Election of 1918, the first in which some women could vote) and on 8 March, International Women’s Day. Graduate and undergraduate students alike strongly supported the College’s annual flying of the Rainbow Flag throughout February. Meanwhile, alumni volunteers are assisting the DAR in planning celebrations, starting in the autumn, marking the 40th anniversary of the coming of women to Exeter as students and Fellows. Exeter alumni have featured very positively in the news. Celebrated author Philip Pullman (1965, English) was knighted in the New Year Honours List. David Lametti (1991, Law) secured membership of the Canadian Cabinet as Minister of Justice and Attorney-General, joining his fellow Exonian Jonathan Wilkinson (1988, PPE), Minister of Fisheries, Oceans and the Canadian Coast Guard. Fellows present and past have also been prominent. Professor Dame Carol Robinson (Chemistry) won the Novozymes Prize for 2019. The award recognises her innovations in the use of mass spectrometry for proteome analysis, which have highly positive implications for pharmaceutical breakthroughs. Also, the Princeton physicist Jo Dunkley, formerly Tutorial Fellow at Exeter, was appointed OBE. My immediate predecessor Rector Cairncross, Honorary Fellow, delivered her report on the Government’s review of press sustainability, which may lead to reforms in the regulation of social media, which threaten the finances of many a newspaper. Meanwhile, historian Giuseppe Marcocci organised in College a highly successful series of international seminars on Iberian history. The first was given by Professor Sir John Elliott (Regius Professor Emeritus of Modern History), in whose honour Exeter’s new junior research fellowship in Spanish History has been named. Also during Hilary Term, Professors Philipp Kukura (Chemistry) and Cath Green (Medical Genetics) gave striking lectures – on academic ‘failure’ and the anti-vaccination movement respectively – at subject family dinners. Hilary Term featured four lively rector’s seminars. Clare Lombardelli, chief economic adviser at the Treasury, gave a richly detailed account of how British economic policy is made. Professor Richard Wendorf, Visiting Fellow, captured the attention of his audience with a painstaking analysis of the process by which previously ubiquitous capital letters became much scarcer in English publications after the mid-18th century. Sean Hagan, Visiting Fellow and former general counsel of the International Monetary Fund, provided an engaging and incisive analysis of recent and possible future financial crises. Emeritus Fellow Professor John Maddicott, the foremost historian of the College, presented a fascinating analysis of student life at Exeter in the first half of the 17th century. Finally, just after term ended, a discussion dinner on ‘political marketing’ mobilised social scientists from China, the USA and elsewhere in the UK as well as from Oxford (especially Exeter) itself. Rectorial travels featured an Exeter drinks reception (sponsored by Chris Drake [1975, Jurisprudence]) in Hong Kong in January, a speech (organised by Dave Beaumont [1968, Mathematics]) to a pan-University audience in Nottingham in March, and trips later that month to Hong Kong (including an Exeter event facilitated by David Webb [1983, Mathematics]) and Tokyo (where long-standing Exeter friend Peter Thompson sponsored an exciting river cruise for Exonians), the site of this year’s University reunion in Asia. Each term contains transitions. 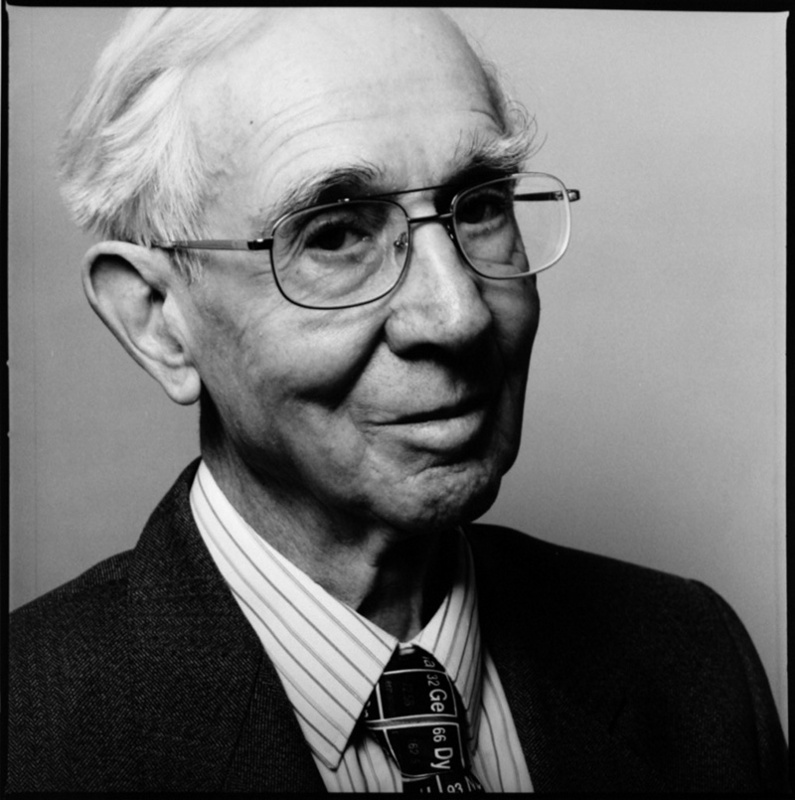 In February the College held a memorial service (when the choir distinguished itself, as it did throughout Hilary Term) for Professor Sir John Rowlinson FRS, eminent chemist and mountaineer, and emeritus fellow, who died last August. Pamela Stephenson, Director of Development and Alumni Relations, is very much alive and well but is moving to a position with the University of St Andrews in early April, having worked energetically on Exeter’s behalf right to the end of her time in the College. 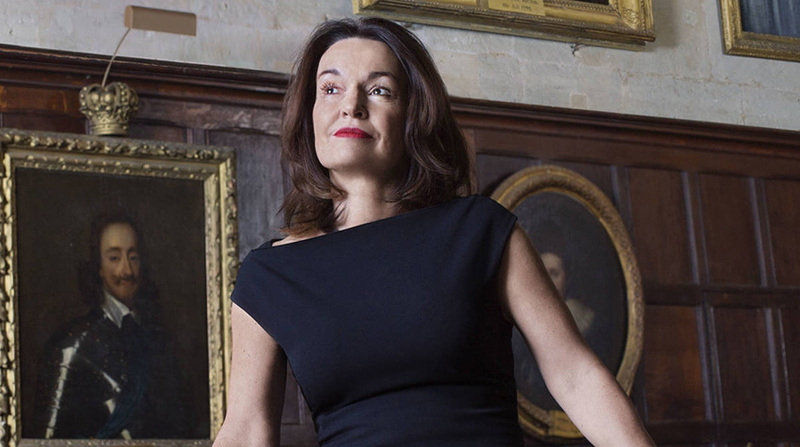 Experienced Oxford development director Yvonne Rainey will be Pamela’s interim replacement – ensuring continuity of alumni events and other DAR services – and the search for a permanent replacement is under way. Among the objectives of current fundraising, building on a major donation from an alumnus, is the long-postponed extensive renovation of Exeter’s listed library, aimed at providing working spaces fit for 21st century students. The architectural competition for the project is in full swing, with six firms shortlisted. Last but not least, the Governing Body – aided by a substantial donation from an alumnus – has decided to launch a major innovation to promote greater diversity in undergraduate entrants from the UK. Accompanied by extra resource and new tactics in the College’s outreach efforts designed to encourage more applications from non-traditional backgrounds, a ‘bridging’ scheme (‘Exeter Extra’) will include a residential course in September and further enrichment experiences during the academic year. Starting with a pilot in 2019/20, the programme will encourage tutors to admit candidates from disadvantaged backgrounds who are predicted to meet the College’s standard A-level admissions standards. 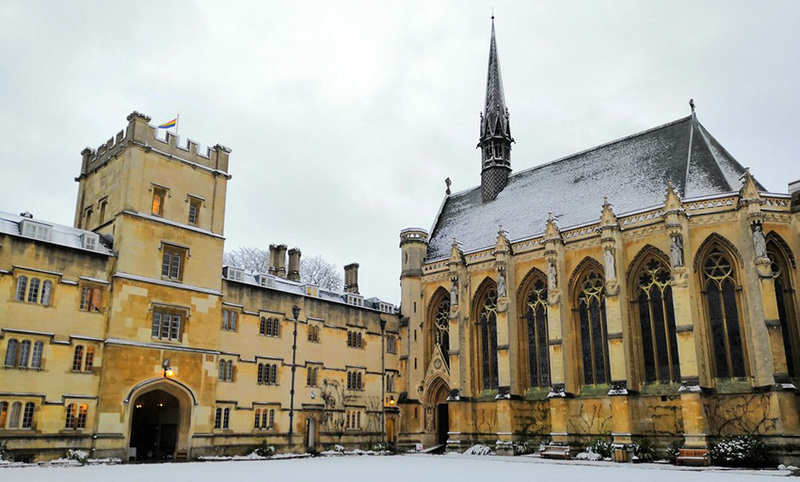 Meanwhile, Exeter has sponsored eight places in the Target Oxbridge programme (four places funded directly by the College, with a further four funded thanks to generous College donors), which seeks to encourage applications from black candidates. There, as in ‘Exeter Extra’, academic achievement and potential will remain key, but the result of these initiatives should be, in due course, a more socially and ethnically diverse population of Exeter undergraduates.